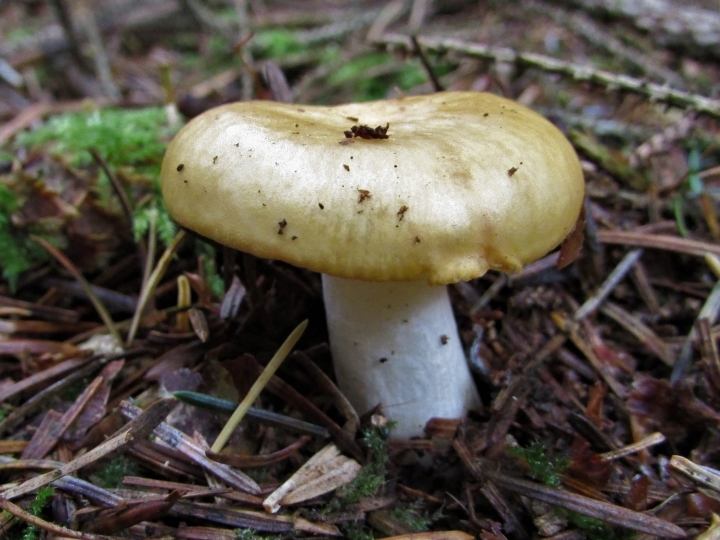 The Geranium Scented Russula, Russula fellea. 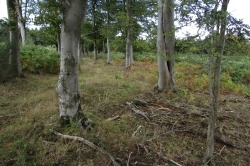 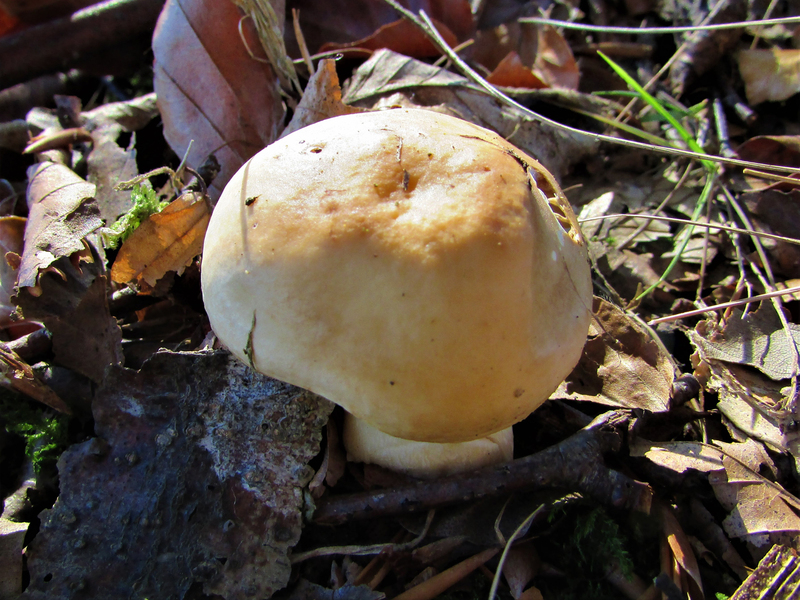 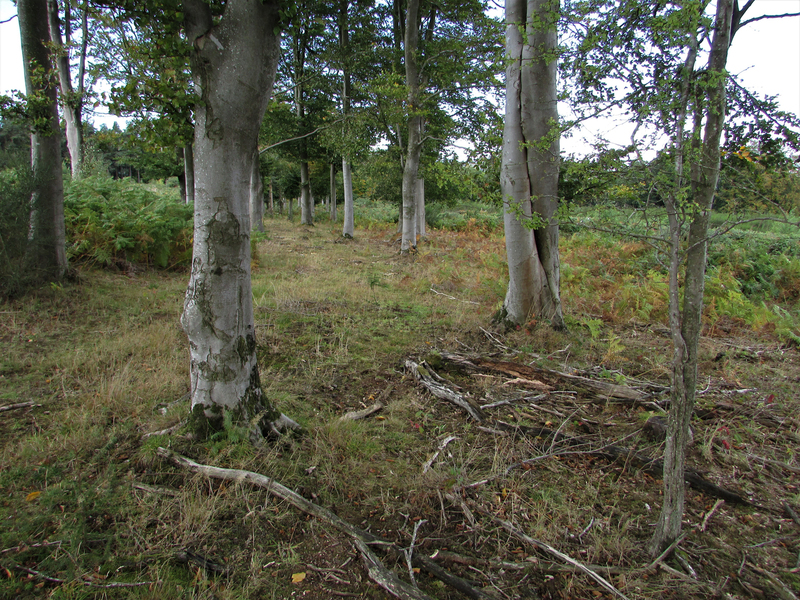 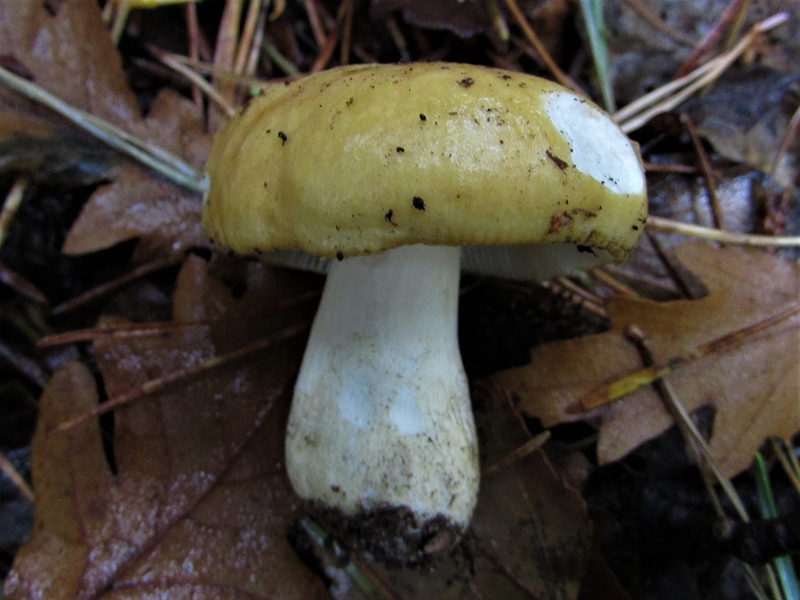 In some years the Geranium Scented Russula can be very common under Beech trees. 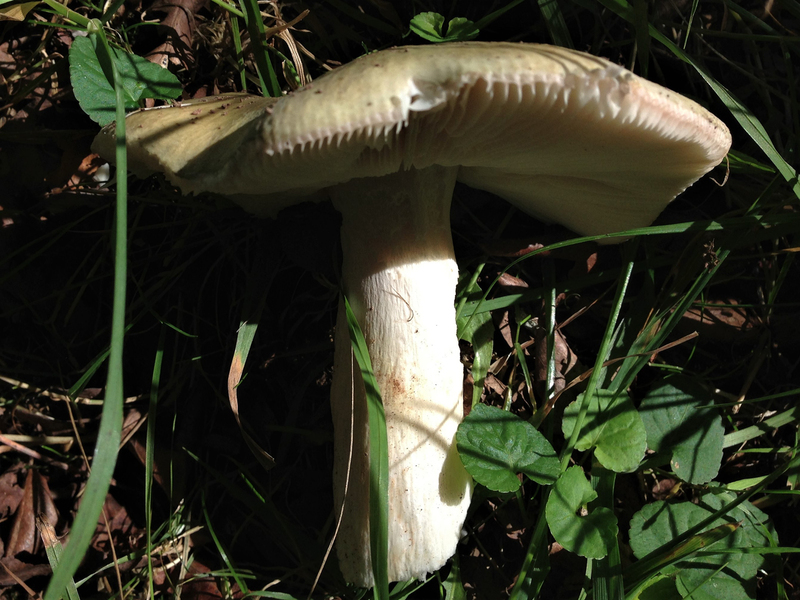 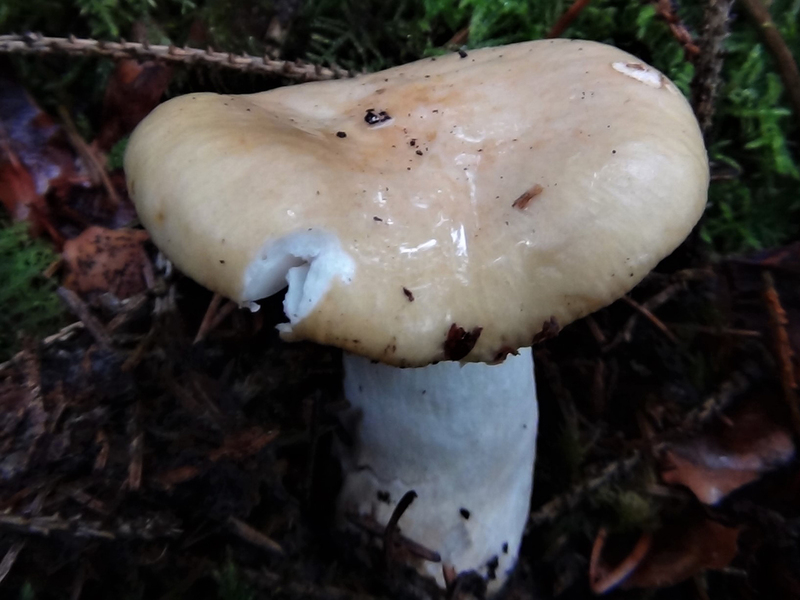 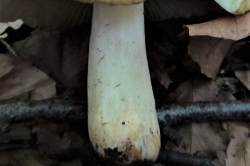 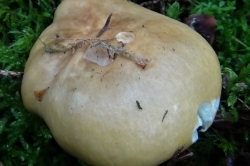 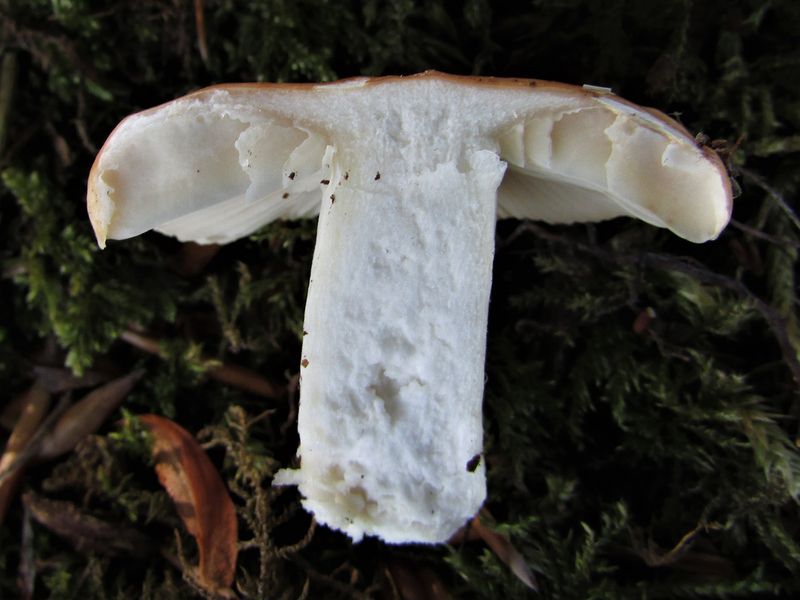 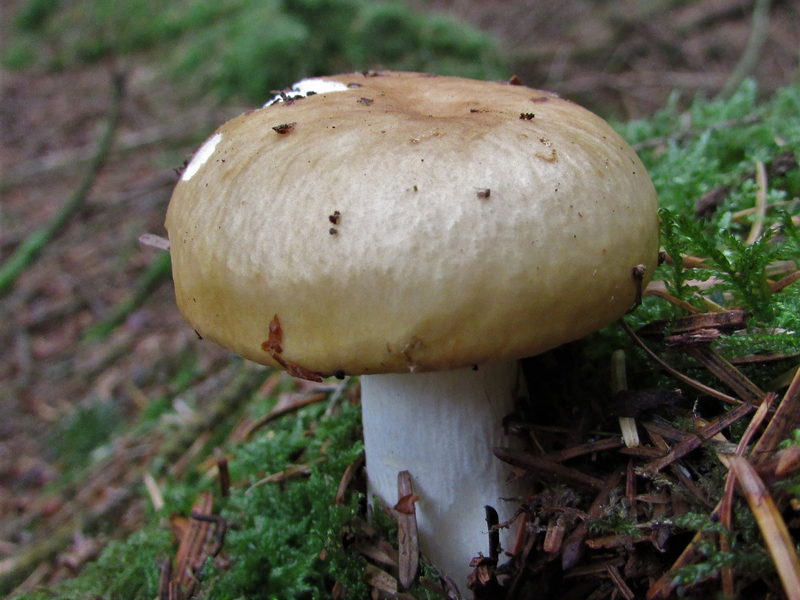 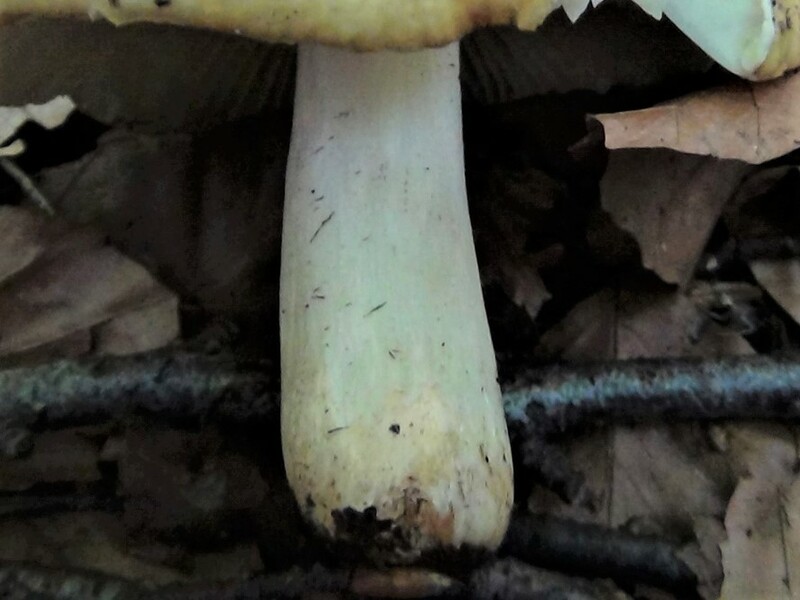 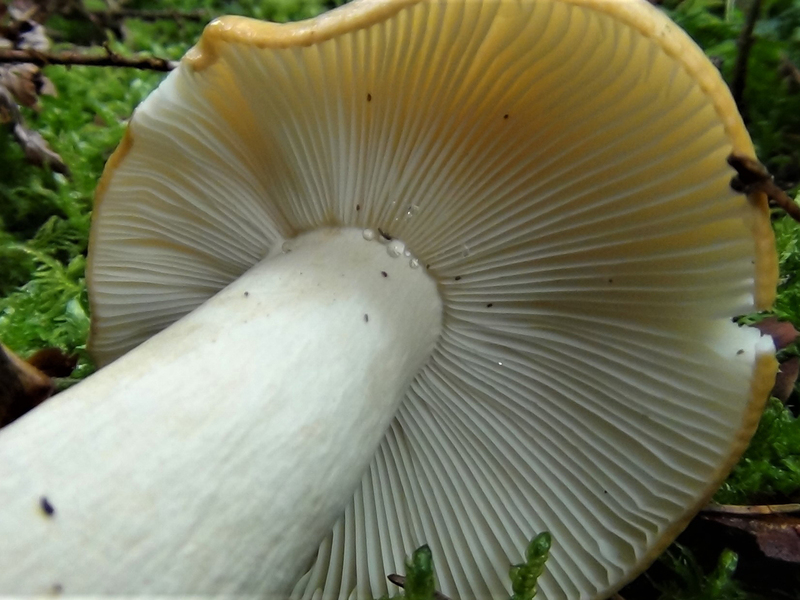 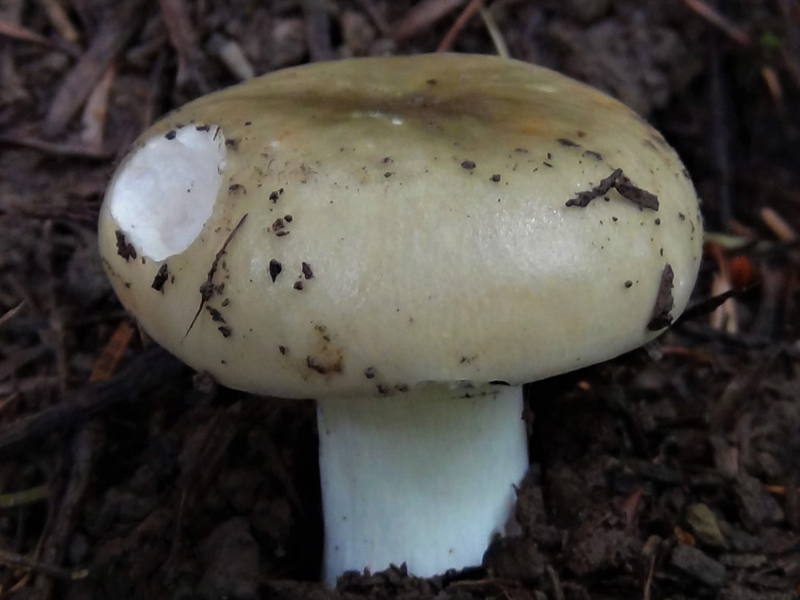 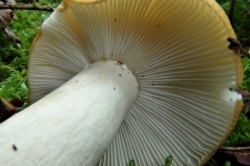 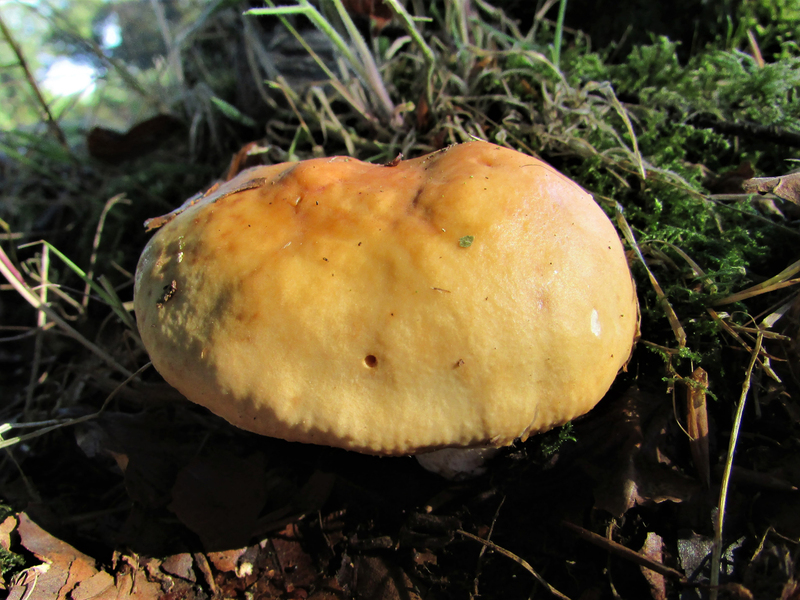 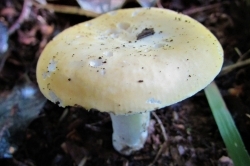 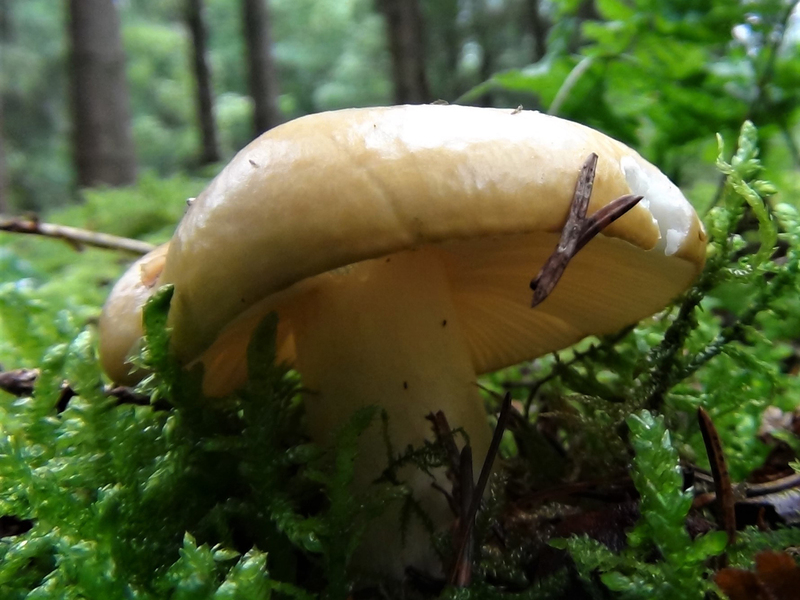 This mushroom is more inedible and very hot rather than poisonous but is included in this section as there are a number of different opinions about the mushrooms toxicity. 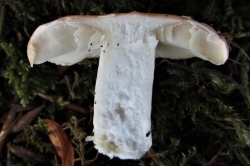 White to slightly off white, neat, crowded and brittle. 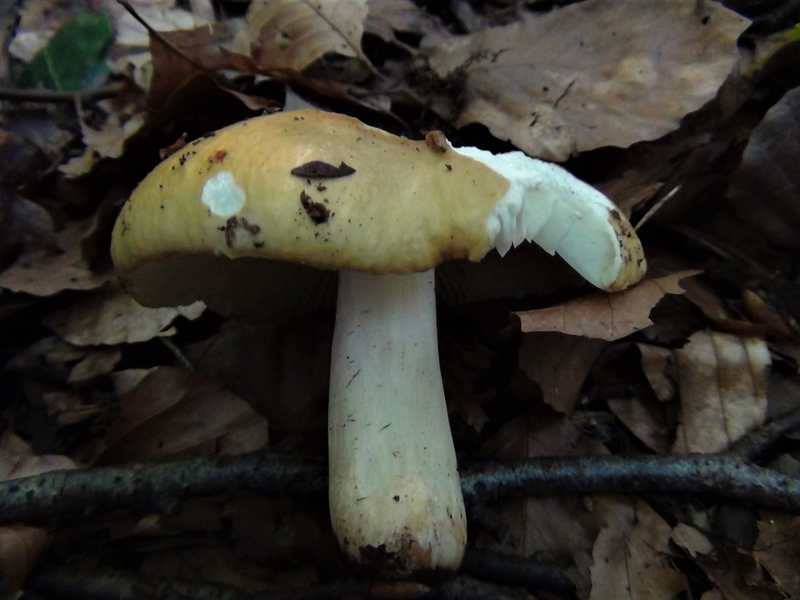 White to off white sometimes slightly yellow. 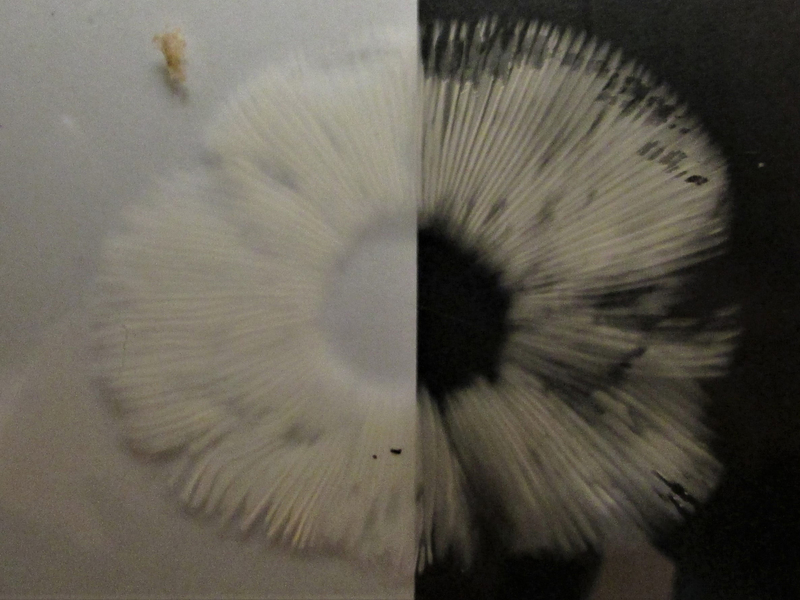 Brittle, granular and snaps a bit like chalk. 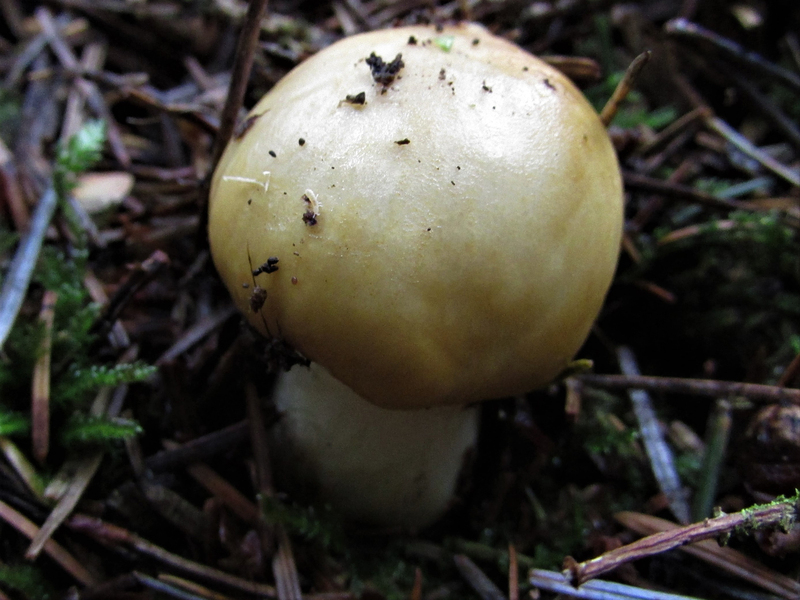 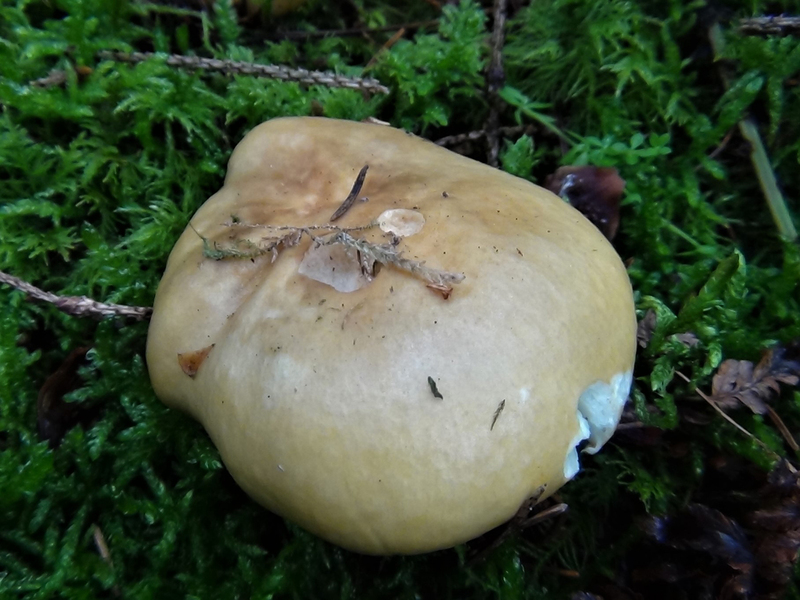 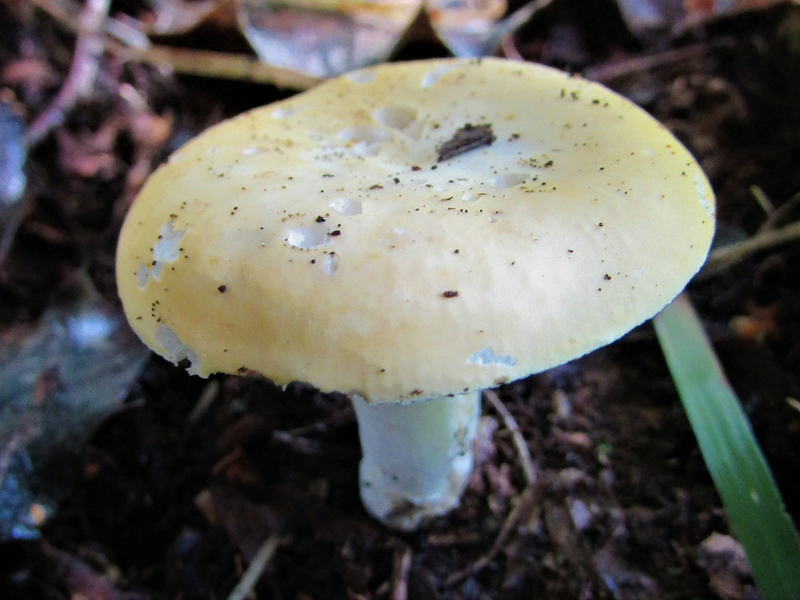 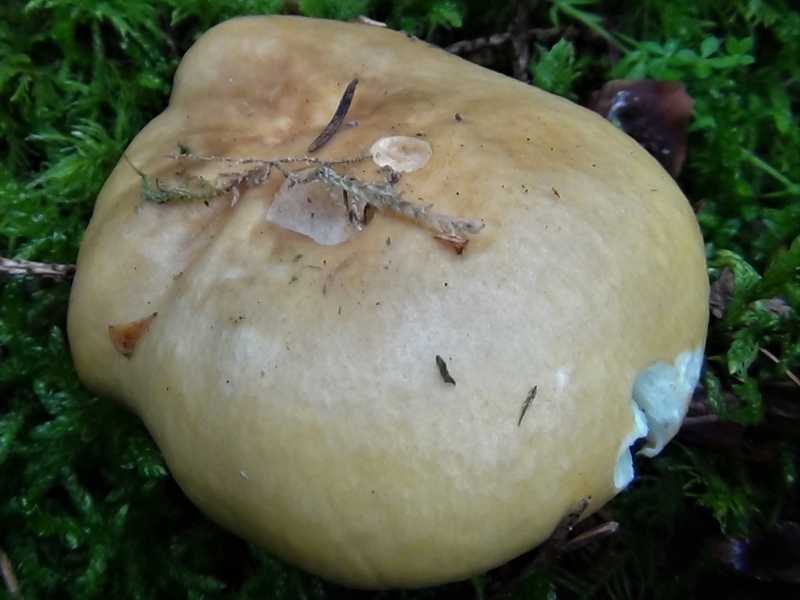 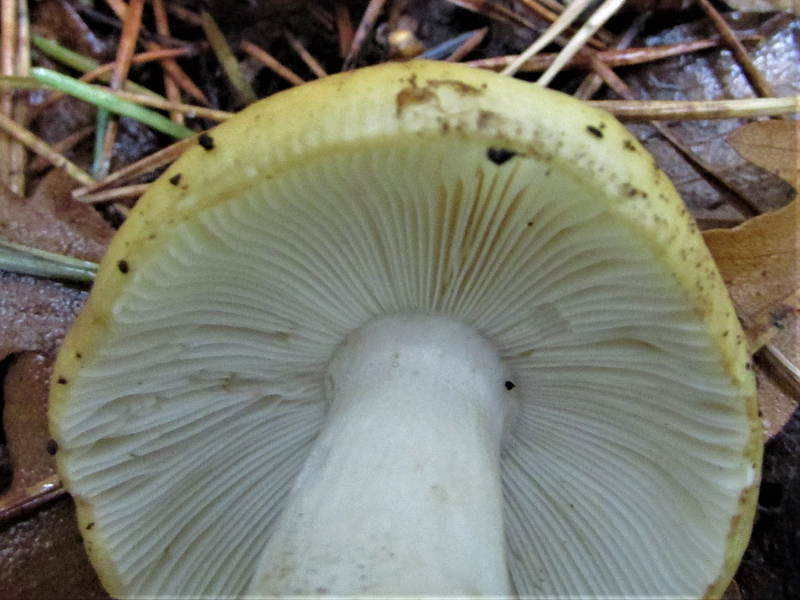 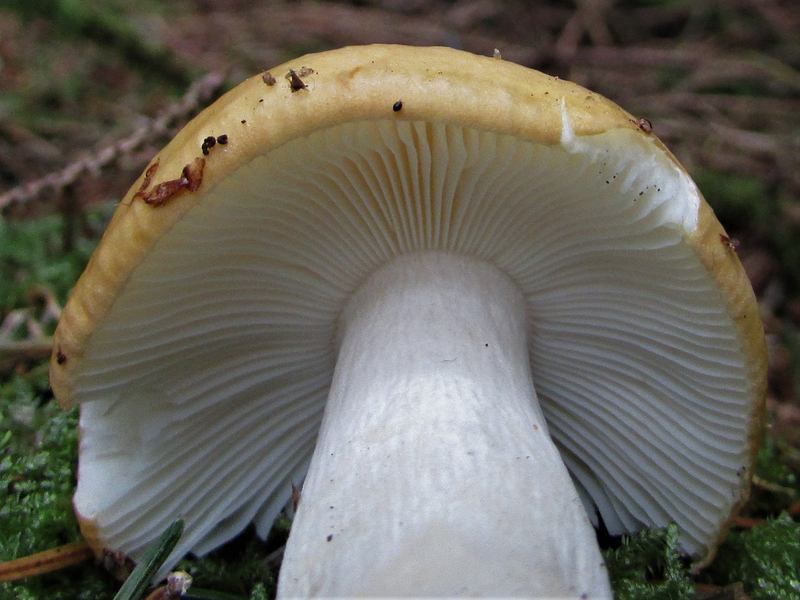 The Common Yellow Russula, pictured, but the off yellow cap, geranium smell and chilli like heat when tasted should save confusion. 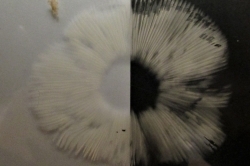 White to cream. 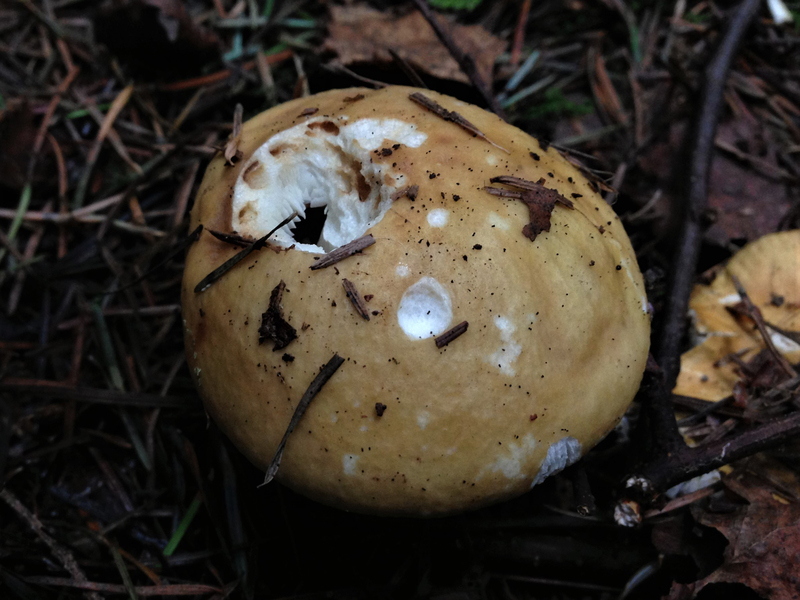 Ovoid with warts.